The Republican Party of Kentucky got $124,350 in April from the Rand Paul Victory Committee – a political fund that raised money for U.S. Sen. Rand Paul’s presidential campaign, U.S. Senate re-election campaign, and Paul’s own political action committee. Thanks to the transfer from the Paul Committee, the RPK was able to report $175,000 in total receipts in April to the Federal Election Commission. It received only two large contributions during the month: $10,000 from Ward Correll, of Somerset, the president of Cumberland Lake Shell; and $10,000 from John M. Potter, of Lexington, of Blackhawk Mining. The RPK reported to the FEC that it had more than $1.4 million on hand as of April 30. That puts the RPK in far better shape than the Kentucky Democratic Party, which reported only $100,000 on hand as of April 30. 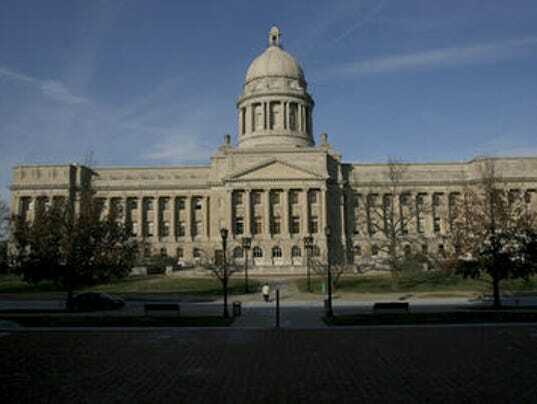 The Kentucky Democratic party reported $74,225 in receipts for April, and $18,337 of that was a transfer from the Democratic National Committee. The largest contribution to the Kentucky Democratic Party for the month was $5,000 from London attorney McKinley Morgan. Finance reports for April were posted on the Federal Election Commission website over the weekend.